description of the word. There also are many who disagree with this. Steamer trunk in a way that just is not routinely done anymore. looked when it was manufactured 100 or more years ago. Masters of furniture making planned it. 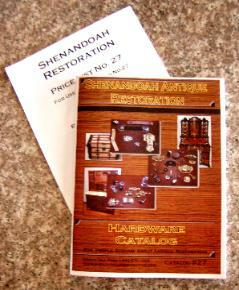 Shenandoah Restoration do not see this as true restoration. were in their heyday and actually a sign of wealth in some instances. we will work with you as best we can. passed down to future generations. your decor, or to add to the antiques you might already own. and Veneer, & Oil lamp Hardware. Refinishing aids, supplies, and chemicals. variety of antiques and collectibles.